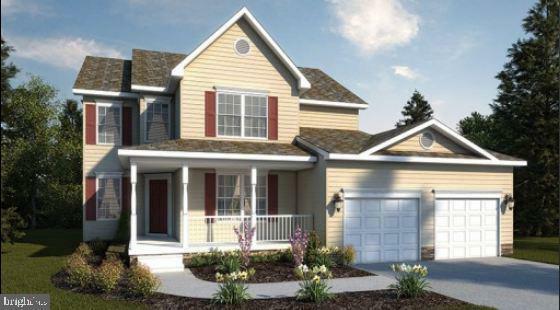 This Brandywine model features 4 bedroom, 2 1/2 baths, 2 car garage w/service door, front porch, open foyer, first floor laundry room, open to kitchen and family room, granite kitchen countertops, pantry, kitchen island, owner's suite, with walk in closet, owner's bath w/separate soaking tub & shower, double sinks, hall bath with double sinks, walkout basement slider, 2 pc. rough in basement, and much more. Similar Photo. "TO BE BUILT"